Fabric ink markers with a brush tip. 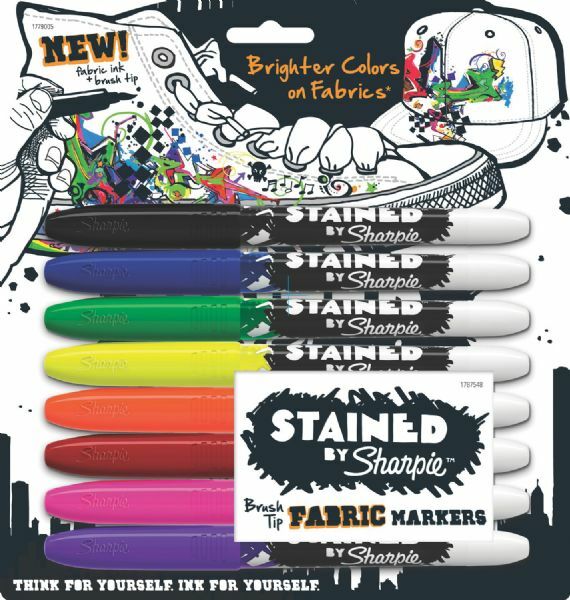 * Super bright bold colors designed for optimal performance on most fabric surfaces. * Wash without worries; ink resists fading on most fabrics during normal wash cycles. * Set includes markers in 8 colors: Black Blue Green Yellow Orange Red Pink Purple. 7.67" x 7.25" x 0.5"